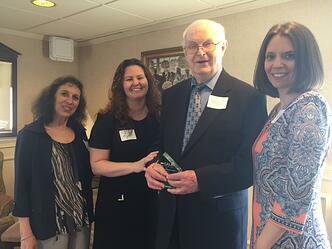 James Riley O’Donnell, a 15 year resident of Middlewoods of Farmington Independent and Assisted Living Community, was recently recognized by the Connecticut Assisted Living Association (CALA), with the Distinguished Resident Accomplishment Award. 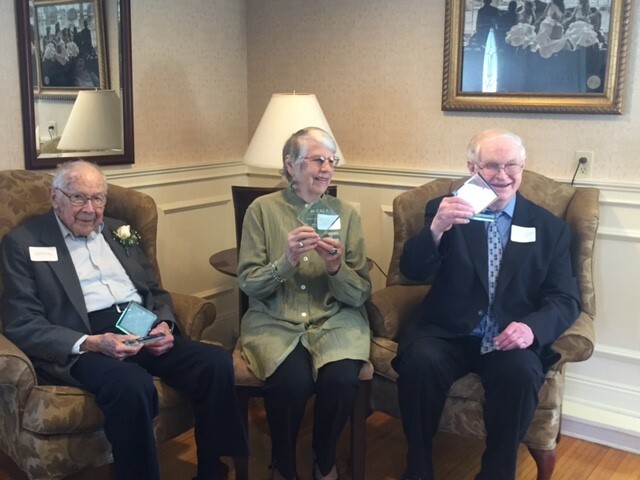 This award honors the service and accomplishments of senior living residents. James Riley O’Donnell, fondly known as Riley, was nominated to receive this prestigious award because of his extraordinary example of aging and his exceptional contributions to the community. Riley and nineteen other selected recipients throughout the state were honored at the Aqua Turf Club in Plantsville. Congratulations, CALA award winners! He is photographed here with award-winners from two other assisted living communities in Connecticut, Crosby Commons and Middlewoods of Newington. Both of these communities are affiliated with United Methodist Homes, a not-for-profit, mission-based organization. Middlewoods of Farmington Independent and Assisted Living Community is located at 509 Middle Road in Farmington and is affiliated with the UConn Health Center. For more information about senior living at Middlewoods, please visit www.middlewoodsoffarmington.org or contact Ginny Brown at 860.284.5700. I started working as a Marketing Coordinator for United Methodist Homes in October of 2016. I work on public relations, website management and community planning for their award winning independent and assisted living communities. 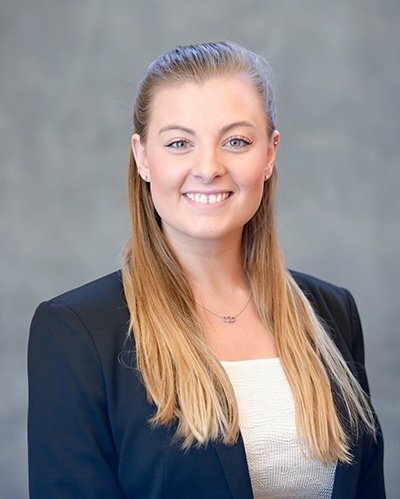 As a graduate of Ursinus College with a degree in Media and Communications and a passion for serving nonprofits, United Methodist Homes has become my home away from home. I spend my days working in a community filled with smiling faces, helpful hands and wonderful residents. I have a passion for assisting seniors and take great pride in being able to promote a company with such a positive mission and values. As an individual committed to learning and growing, I have jumped right into this exciting career!